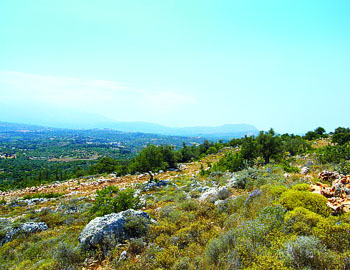 Cretan Life owns land with planning permission to build in a variety of locations. We offer plots of land in different areas of the Apokoronas region in the north west of Crete, a short drive from the old Venetian port of Chania. 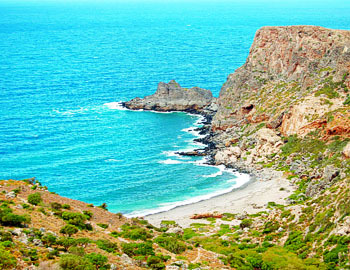 With its unique charm, this is one of the most popular regions of Crete - which is now being reflected in the prices of land and property there. Note: we are continuously acquiring more land, so please ask for an up to date price list. 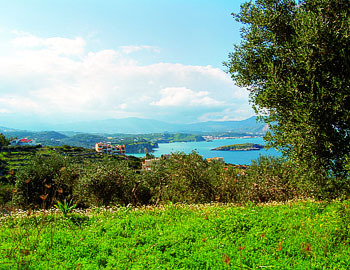 With stunning views of the White Mountains and sparkling blue sea, the quiet village of Litsarda has an unspoilt charm. Yet it offers the astute investor, the chance to be in at the start of the boom projected to follow the development of a planned new golf course nearby. 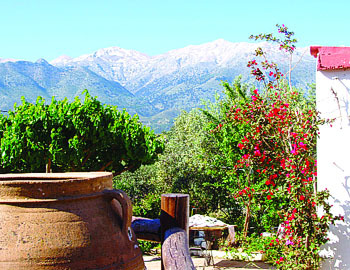 The village is served by a church, primary school, taverna and mini-market. There are many villages and beaches nearby, and Georgioupolis, one of the longest beaches in Europe is only a 10 minute drive away. Kampia has natural surroundings of breathtaking beauty, with panoramic views to the White Mountains and the sea. It s in a quiet and exclusive area, yet has easy access to all facilities, entertainment and beaches. Situated just 5 minutes from the bustling Almyrida beach resort, it s fast becoming one of the most sophisticated villages in the area. With breathtaking views to the White Mountains and out across Souda Bay, this all-year-round lively village with its bars and tavernas combines traditional ways with modern life. Plaka is home to a thriving international community and has a great cosmopolitan atmosphere. The village where scenes from Zorba the Greek was filmed, Kokkino Horio has awesome vistas, on one hand across the waters of Souda Bay, on the other clear across to the mountains of the Akrotiri Peninsula. The narrow, meandering streets also offer unexpected views through picturesque archways and church doorways. Architectural designs for 5 stunning villas and 3 apartments have already been produced for this exclusive building plot. A peaceful village steeped in traditional charm, with a prime location that makes it an exciting prospect for the investor. 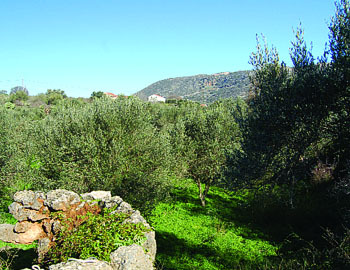 Set within a large olive grove, the plot is not far from the beach and within walking distance of the village centre. The plot offers beautiful views to the White Mountains and if built-out all villas/apartments will have sea views from 1st. floor level. Lying at the foot of the White Mountains, our building plots in Samonas have spectacular panoramic views over the valley and to the sea beyond. Set in a prime location within this peaceful elevated village with its own boutique hotel and amenities, our Samonas plots will also benefit from views of the new planned golf course. 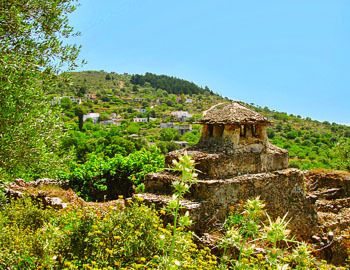 At the foot of the Omalos Mountain, Karanou is one of the most historical villages in Crete. Yet it also has all modern amenities, including mini-markets, restaurants and coffee shops. Our large plots are a very short drive from the village centre. 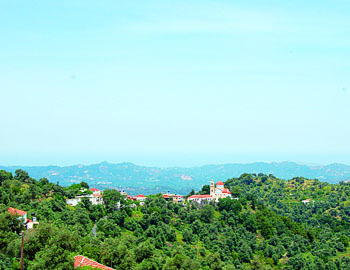 They are on different levels and offer spectacular uninterrupted valley and sea views. This picturesque village is on top of a hill, with views from one side over Chania and Souda Bay - and from the other to Georgioupolis Bay and Rethymnon. A large sloping olive grove would give all the houses uninterrupted sea views, and our plots are only 5 minutes walk from the village centre amenities. 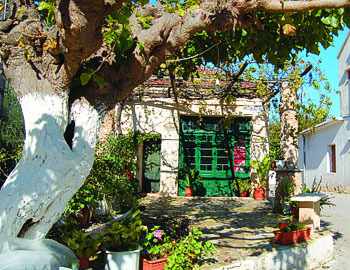 Kampos is one of the most dramatic and scenic villages in Crete, and all required amenities can be found in the village square. 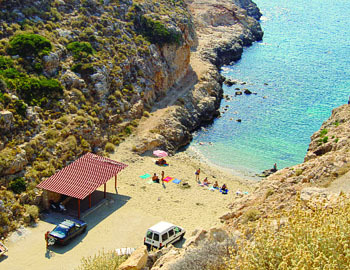 It has its own small harbour and hidden sandy beaches and gorges nearby. Our large 6 acre plot is actually on the edge of the beautiful shoreline and whilst being off the beaten track offers superb long term investment potential with the possibility of being granted planning permission for a significant development which is still in progress. Please enquire for an update.